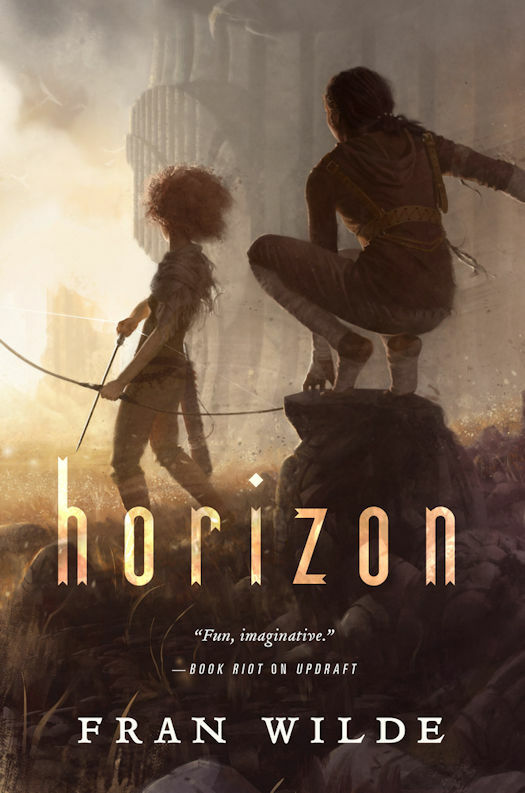 The cover for Horizon, the 3rd novel in the Bone Universe series, by Fran Wilde has been revealed at Tor.com. Check out this fabulous cover art by Tommy Arnold. A City of living Bone towers crumbles to the ground and danger surrounds. Kirit Densira has lost everything she loved the most—her mother, her home, and the skies above. Nat Brokenwings—once Kirit's brother long before the rebellion tore them apart—is still trying to save his family in the face of catastrophe. They will need to band together once more to ensure not just own survival, but that of their entire community. 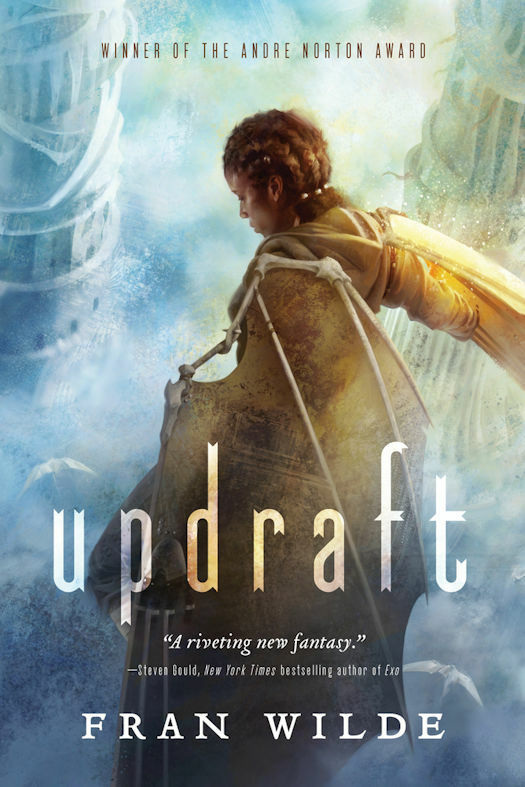 After the dust settles, the City of living bones begins to die, and more trouble brews beneath the clouds in the companion to Updraft. The Towers in disarray, without a governing body or any defense against the dangers lurking in the clouds, and daily life is full of terror and strife. Nat Densira, the wing-brother to Kirit (Skyshouter, Spirebreaker, no-longer-of-Densira) sets out to be a hero in his own way—sitting on the new Council to cast votes protecting Tower-born, and exploring lower tiers to find more materials to repair the struggling City. 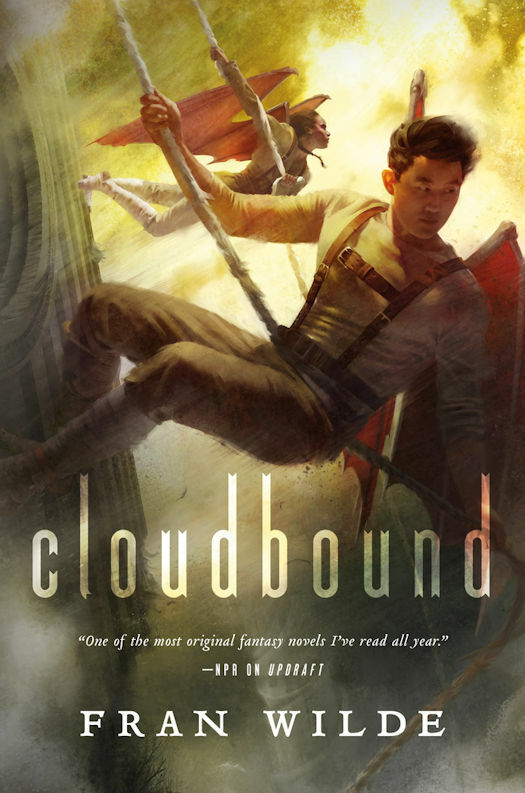 But what he finds down-tier is more secrets—and now Nat will have to decide who to trust, and how to trust himself without losing those he holds most dear, before a dangerous myth raises a surprisingly realistic threat to the crippled City, in Cloudbound.